The hotel has been named after the great French impressionist painter Claude Monet, and to experience staying in any of the hotel’s suites is truly an example of “life imitating art” – with each having a veranda that would provide beautiful sights of the forest and the park. 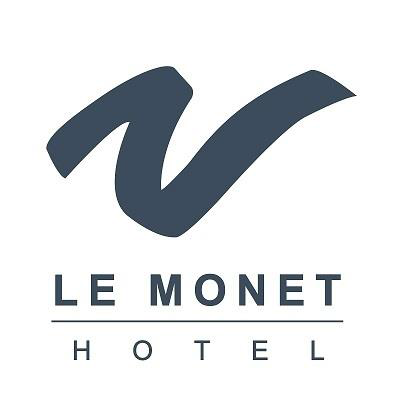 Le Monet Hotel combines its beautiful landscapes, sophisticated interiors and exquisite service with the summer capital’s nature attractions. Nature is within the radius with trips to the butterfly sanctuary, eco-trail, horse-back riding trails and picnic areas. Guests will experience the cozy atmosphere with family and friends while enjoying the outdoor activities Baguio City has to offer. AHMGI's aim is to be recognized widely as the best luxury and art hotel group in the country, providing 21st century luxury with euro and national artistic charm in each of its hotels. This is achieved by investing in the Group’s exceptional facilities and its people, while maximizing profitability and long-term shareholder value. The strategy of the Group is to open the hotels currently under development in Palawan and Boracay, while continuing to seek further selective opportunities for expansion around the Philippines. AHMGI began with the opening of its flagship property, Le Monet, in Baguio 2012, which soon built up an enviable reputation for luxurious service and artistic themed functions. Since Le Monet Hotel was already a legendary property and acknowledged as one of Baguio's great hotels, Stern Real Estate Development Corp. (SREDC), the property developer, decided to appoint AHMGI as Hotel Rembrandt's management, and continue its development and reinvent its strong image of spectacular hospitality. SREDC is incorporated in Manila which holds various businesses that expands from real estate, hospitality to commerce. AHMGI's express aim was, and still is, to concentrate on the development and operation of first class city and destination hotels nationwide. 70 luxurious rooms and suites with private balconies opening up to a view of pine trees and greenery are equipped with a 32”LCD – internet TV, electronic lockset system, fully automated fire safety system, complimentary in-room internet access, mini bar, coffee and tea making facility, and a well-appointed bathroom with complete amenities.